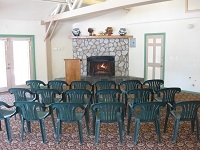 Alpine Meadows Retreat Center offers an alternative to a standard hotel conference room meeting - fresh air, beautiful mountain setting, and lots of activities. Affordable, fun, and different, a business meeting at Alpine Meadows Retreat Center gives employees a chance to get out of the usual routine... and into thinking differently and creatively. 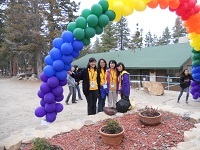 Alpine Meadows Retreat Center is also a great place to host a company picnic or other company event. Team-Building on our state-of-the-art Adventure Challenge Course. Led by a trained facilitator, our team-building program can be tailored to fit your group's specific needs.